On August 27 2017 three Cyclelogik // HPP athletes and coach Ian Fraser headed to Pentiction, BC for ITU Long Course World Championships. The course consisted of a 3km swim, 120km bike, and 30km run; a peculiar distance for those familiar with Iron-distance events! Despite the unfamiliar distances, Heather was able to break 7 hours on the challenging course, one of only two athletes in her age group to do so. The bike course consisted of two loops around Skaha Lake including two challenging climbs on each loop. The run course featured three individual out & backs on each of the three loops. Despite the heat Heather was able to take top spot in her age group! 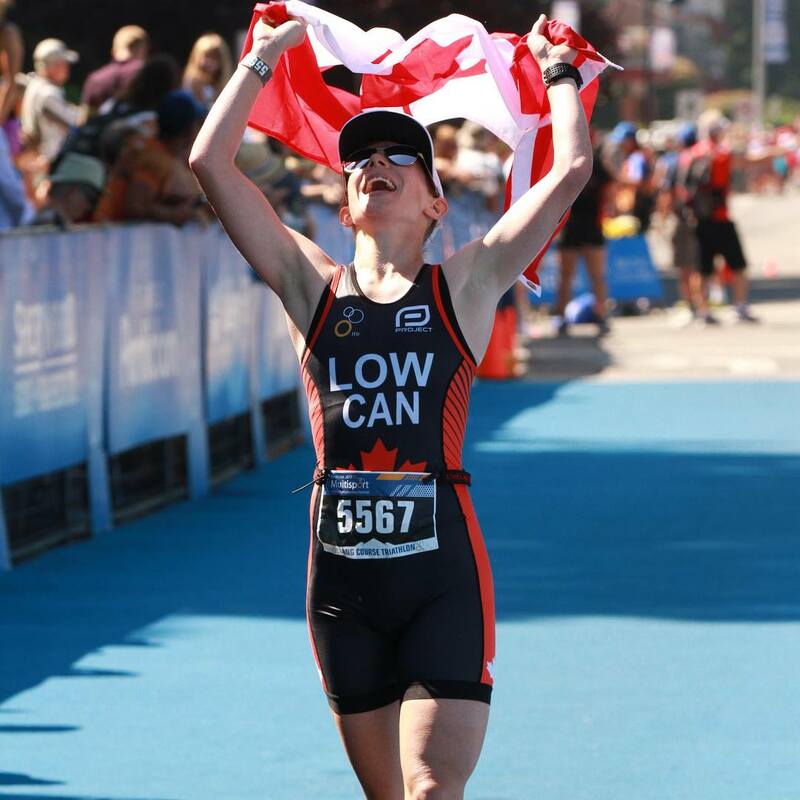 Teammate Kim Chretien took 6th making them the two top placed Canadian athletes in the Women’s 30-34 age group. Last year Heather took second in her age group at IM Mont Tremblant earning a spot to Kona World Championships making Pentiction Heather’s second long course world championship event in less than a year! In October she is heading to Louisville for another shot at Kona qualification. Great venue, great course (especially the hills on the south end of Skaha Lake) and fantastic volunteers. Had a pretty good day in spite of not being able to train properly over the last 5 weeks due to a lung infection. Thanks to coach Ian for helping me get ready with some focused, smart training and thanks to Heather and Kim for their encouragement. It’s been an amazing year for members of Cyclelogik // HPP Triathlon team and there’s still more to come! Robert looking strong on the run course!